Warner Bros’ upcoming supervillain-led film Suicide Squad hit a speed bump last month when Tom Hardy was forced to drop out of playing Rick Flag Jr. due to scheduling issues. With shooting scheduled to begin in April, it was crucial that they found someone soon to fill his shoes. Other actors that were previously being considered to replace Hardy included Jake Gyllenhaal, Joel Egerton and Jon Bernthal, but those didn’t pan out. However, now they might have finally found the person to play the Squad’s no-nonsense leader. 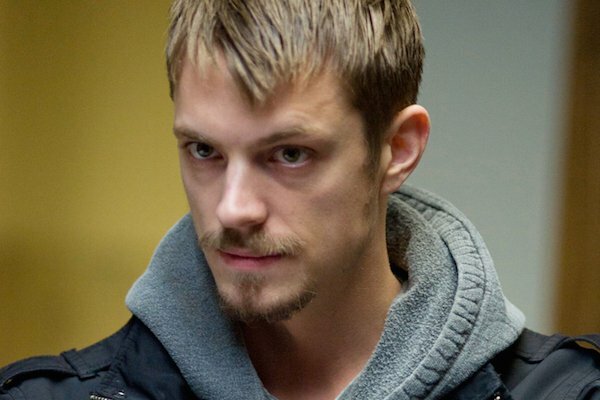 According to Latino Review, Joel Kinnaman is currently the frontrunner to play Flag in the 2016 DC film. The article reports that this was the week that the casting decision would be made, and the studio was impressed by the actor’s audition, although he still has yet to sign on. Kinnaman is most well-known for playing Stephen Holder in the AMC/Netflix series The Killing and the titular character in 2014’s Robocop reboot. If this is finalized, Kinnaman will appear alongside Will Smith as Deadshot, Margot Robbie as Harley Quinn, Jared Leto as The Joker, Jai Courtney as Captain Boomerang and Carla Delevigne as Enchantress, along with possibly Viola Davis as Amanda Waller, Jesses Eisenberg as Lex Luthor and Gary Sinise in an unknown role. This will be Flag’s second live-action appearance following a recurring role in Smallville played by Ted Whittall. Unlike most of the characters in Suicide Squad, Rick Flag is not a criminal that’s been drafted onto the team to earn a reduced prison sentence or the form of leniency. Rather, he is the military officer put in charge of the team to make sure that they don’t get out of hand during these high-risk missions. Given that the movie’s lead characters are reportedly Deadshot, Harley Quinn and Joker, it stands to reason that while Flag will be important to the story, Kinnaman’s role will be a supporting one. Kinnaman may sound like a downgrade compared to Hardy or Gyllenhaal, but with Smith, Leto and Courtney among film’s star power, that allows the production to focus more on talent with its casting rather than hiring big names to get people in those theater seats. Fortunately, Flag has his own inner demons that he deals with, so Kinnaman will have plenty to explore with the character. Suicide Squad will hit theaters on August 5, 2016. You can also see Kinnaman later this year in Knights of Cup, Child 44 and Run All Night.